I've recently become aware of a local co-op thru which i could get raw whole milk from grass-fed cows (except wintertime they're fed non-gmo corn & hay) . I've never drank raw milk (been a lifelong drinker of store-bought homogenized/pasteurized 2%,both organic and non) but am intrigued after doing some basic online research...it seems to be an excellent natural,whole-food source of various important nutrients(including calcium & vitD) and aminos and glutathione, which Dave talks about regularly. The co-op's price is about $8.25 per gallon. I'm kinda tryin' to decide between either this raw milk OR Dave's upgraded collagen protein. If i went with the collagen , i'd most likely throw it into my morning BPC. With the raw milk, I was thinking i could make a powerhouse protein shake using it plus 1-2 raw pastured eggs (yolks only ?) and a little vanilla stevia for taste. So I'd love to hear your experiences, feelings, results whether good or bad on this ... thanx in advance ! I can only tell positive things about it. Never ever got sick from it, and it's full of nutrients. I don't know US prices, is it that expensive that it would prevent you from getting the collagen? Perhaps try some gelatin if that's cheaper? I often freeze the milk if I buy that much and make iced coffee with it. So far my journey into obtaining raw milk has been like trying to hunt down a drug dealer who could supply me with Ayahuasca. In fact, it might be easier to find Ayahuasca than raw milk here in Ontario, Canada. It is like some super-secret underground rogue element of a society of farmers that trade this illegal substance that I have to hunt down. Milk is illegal here in Ontario. That's right. Raw milk is illegal. So I must take up the mind of a revolutionary or resistance fighter to obtain this substance. Once I do obtain it, I cannot advertise it on social media, lest I get house-raided by the government or expose the "dealer" whom which I got it. My plan was to make copius amounts of kefir with it, and even entertain a raw milk diet for 3-4 weeks. This is my experience, rant and feeling surrounding the subject of raw milk. Reka yes I will most likely do both, at least for a little while... curious, do you put collagen into your BPC ? And if so, does it mix/dissolve well ? I'd love to be able to do that , without worrying about any gritty residue in my coffee. Currently i only put butter , mct/coconut oil & stevia in my BPC. just curious specifically what type of rm 'diet' were you entertaining... just 100% rm ? or would you throw in any other supplements or foods ? would you continue your regular exercise routine during the diet ? etc etc ..... thanx for sharing your thoughts & ideas ! I read the whole Raw Milk Diet book last night. I was inspiried by another thread here, where a user, Austin Beales undertook a r.m diet for 4 weeks. 1. Water-fast for three days as a prep, with added Himalayan salt for trace minerals. Daily enemas or one colonic on my third fast day. 2. 6 quarts of r.m every day. Kefir milk as well. Probably more kefir and less r.m. Although I still have to obtain some milk! 3. Listen to my body. Rest and sleep when necessary, and if I feel the need to exercise I will. 4. Zero supplementation. Less digestive stress. I'd rather let my GI system focus on healing and absorbing the milk. 5. Colonic once a week to keep the pipes clean. 6. Daily warm shower, followed by cold shower. Also, a CT protocol at breakfast, lunch and dinner times (8am, 1300, 1800). 7. Follow biological circadian rhythm. Zero blue light exposure after sunset. Continue wearing UV blocking sunglasses, using Flux when I need to be on the computer, limit exposure to non-native EMF. 8. Meditation and box-breathing upon rising and before sleep. I have been dealing with GI stress and minor symptoms of adrenal fatigue. I also have Reynaulds syndrome that gets exaggerated in the winter. I've tried many things to alleviate my GI symptoms and so far I've seen results with colostrum, kefir (organic, pasteurized, whole milk), and Surthrival's ghee. However I still have chronic constipation and feel unmotivated, unhappy (not always though) and haven't had a SOLID night sleep since I was a child (I'm 26 now). You know those sleeps where you shut your eyes and then wake up to morning? Without an alarm, completely undisturbed, quality sleep. Those are my goals and my idea of a raw milk diet. No, I haven't tried it yet so I don't know how well it dissolves but it's probably worth a try. Do you drink coffee regularly ? Is your diet "bulletproof"(-ish) now ? Well, if you do go through with your outlined raw milk diet, please report back with results , I'd love to hear ! It's funny because my family doctor knows what Reynaulds is but cannot help. She just writes me off as "unique". Funny thing too is, when I got my blood marker results and we reviewed them together, my HDL was triple the average! She said, "you're HDL is amazing, with numbers like that you're going to live to 100!". I responded with, "doc, I eat A LOT of fat (good fat)". To which she said, "well...you're lucky." Raynaud's (ray-NOHZ) disease causes some areas of your body â€” such as your fingers and toes â€” to feel numb and cold in response to cold temperatures or stress. In Raynaud's disease, smaller arteries that supply blood to your skin narrow, limiting blood circulation to affected areas (vasospasm). I believe this is a possible thyroid issue, but I have not done that bio-marker yet. I still need to get tested for: testosterone, thyroid atibodies, reverse T4 and T3, O3/O6 ratio, comprehensive stool analysis, leptin, cortisol. All of which are tests that I have to fund, and cannot write off with insurance because I don't have any (on contract at my place of employment)! Exercise. I shut my exercise down for about a month and a half now. Let me explain in detail. When I was exercising I would follow P90x3 (HIIT type 30 min workouts, resistance, cardio and isometric style). Usually I would do two workouts a day, back-to-back. I used P90x3 as my excercise model from February 2014 - September 2014 with a month break in July while I backpacked through Europe). Before I came across P90x3 I was on an elliptical machine and performing my own free weight routine. Both of which did not incorporate HIIT concepts and was a daily routine. I followed this style of exercise from August 2011 to February of 2014. All the while augmenting and fine-tuning my diet until I discovered Bulletproof in mid-May of this year. Also in the "movement department" I was taking kung fu, qi gung and tai chi from May to July of this year. These classes had a profound effect of my state of mind, feeling of oneness and expression of movement for the three months I was attending. I would drink Bulletproof Coffee a couple hours prior to qi gung/tai chi then go to class. I honestly felt like I could levitate, about 4 weeks into my practice. Have you seen the article Dave posted where a study correlated that drinking coffee has the same neurological pattern as qi gung? Well combine the two for a month straight, along with eating entirely in the green zone and see what happens! I practiced my taoist kung fu and P90x3'd for an hour each day, along with BPC and green zone foods only. I was on top of my game. Turnin' and burnin' ketones and felt like a fat-burning beast. I started to develop a six-pack (which I've never had!). However, with all this activity and keto-ness, I wasn't doing one key thing key to thyroid happiness. I wasn't carb refeeding. I stayed right around 25 grams of leafy green veggies with no starches and no refeeds. Recipe for disaster. Mid-July I decided to go to Europe. I was gone for 4 weeks and "tried" (Yoda) to stay BP for as long as possible, but ended up completely indulging in baguettes, beer, pizza, coffee, chocolate and anything else I could slip in, all without much exercise around the last two weeks of my trip. When I returned to toxic-stressful North America I was vehemently determined to get back on track. So I did a 3 day water fast, then started my P90x3 again, ate green zone and BPC-IF for all of September. Again, no carb refeeds, coffee abuse and I wasn't focusing on sleep as much as I should of with all my exercise and low carb ways. Well my friend. Everything hit me all at once. I crashed BIG TIME. Crashed and burned if I were Tom Cruise in Top Gun. Self diagnosed adrenal fatigue/exhaustion and GI distress (suspected leaky gut after I had a live blood cell analysis back in mid-May), of which one pretty much follows the other. Currently I eat a very strict diet. I did the ALCAT food sensitivity test and got my results Oct 6. Since then I have been eating ONLY out of my personal "green zone". I'm as BP/low fodmap as I can possibly be. I've cut out all stimulants since September, coffee, chocolate, tea (green and orange pekoe) and eliminated all foods that cause gut-permeability. I still eat egg whites (Get Some Ice Cream, 1 white per 4 yolks when I "very lightly cook" my eggs) and don't have a reaction to them. I refer to the yolks as chicken colostrum. I shut my exercise down entirely (to reduce stress/cortisol spikes), focused on quality sleep, stopped IF, now I am following Jack Kruse's Leptin Rx, and I've added a low protein-high carb day (sweet-potato for pre-biotics which I have noticed success in the BM department and green beans every Sunday). I'm not worried about being in ketosis as much as I want to improve my bowel movements, heal my gut and dig myself out of the hole I made with over-exercise, under carbing and over-stimulating. Now that I have my ALCAT personal diet/4 day meal rotation I know which foods are causing serious inflammation, moderate, mild and none. My next step is to work with a naturopath that specializes in gut health, get all the required testing done, and yes, go on a raw milk diet if needed. I do apologize for the life-story here, but I had to get that out, and hopefully others can relate. If I do go through with the raw milk diet I'll absolutely keep you posted. I'm not so much a "quantify myself" guy as others around here, but I will maintain a daily journal, recording emotional state, weight, blood pressure and pulse, and perhaps monitor my glucose levels. Obviously my focus will be on keeping a log of my daily logs (haha). Stool quality and frequency are of utmost importance to me. I might even do weekly video blogs to recap my journey. Eventually I'll get myself back to baseline and begin anew my journey without having to worry about "baseline meat-suit systems operations". If you can get GF raw milk get it. This past summer I incorporated it in my diet as my night time snack and it was awesome. if I didn't have to travel so far to get it I would have continued, and while I think it was/would be an awesome addition to my diet, I don't feel it is essential. Again with that said, anyone who can "tolerate" milk shoud def get GF raw milk if its not too expensive or have to travel long distance for it. Raw milk fast/diet does sound fantastic. I guess my whole summer was awesome. But... I guess what I meant to say was its one of the few night time hacks that I have ever tried where I had undoubtedly positive effects . (I've done the collagen, vit c, and magnesium before bed off and on which is nice, but not as good as raw milk to me.) The effects being it would help me go to sleep, I slept better, felt better rested/recovered, my skin looked even better. It was just the perfect night cap for my diet at the time, which I wish I could revisit. This past summer I also had a sweet experience on psilocybin mushrooms, where after the peak I was outside at night enjoying a warm breeze, the clear sky, my thoughts, and a pint of raw milk. It was perfect. thx. i thought it may have been sleep related, but i did not want to mention sleep, in case it influenced your answer. Good luck Strict.Nine ... sounds like you are totally dedicated to improving/resolving your issues and i'm sure you will have success. I personally haven't experienced your issues so can't really offer any solid advice. I want to do the Alcat food-sensitivity test as i've never been tested in my life for that kinda thing and it sounds like an obvious next-step to improving my diet & health. I don't know if you've ever tried meditation ... I haven't but i've heard really really good things about the positive benefits it can produce , even for some serious health issues. The closest i've come to meditation is just practicing some simple controlled-breathing done for maybe 10 minutes once or twice a day ... seems to help me a little. The Alcat has been pretty invaluable for me. Yes, it basically tells you that your "problem foods" mean you have a deeper issue, but without identifying and eliminating them, how can you reduce inflammation? For me, it was a no brainer and something I've wanted to do for a long time. Yes, coffee is on my mild intolerance list. Oh yes sir I've been all over meditation (just not recently though ). 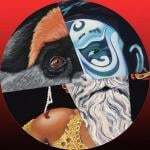 I had my massive awakening moment in 2011 and meditation was a huge part of my life. I lost 40 pounds and eliminated all the really bad foods and alcohol. Then I started kung fu/qi gung, which were amazing. Presently, I just cannot muster any motivation for anything really. I've booked an appointment with a naturopath this week. He focuses on gut health, but also offers testing for adrenals, testosterone...the things I look for in a doc. Also, I'm off to pick up some raw milk today, so I can get this thread back on topic! I'd like to get this thread back on track regarding experiences with raw milk. So I went on Sunday to pick up "the stuff". Again, I live in Canada, so it is treated like a Class 1 narcotic. My communication with the farmer who provided me the white liquid gold informed me he would be driving a certain coloured and make van, with a license plate number. Talk about your stereotypical "drug" deal here! He pulled into our meetup location, and I was greeted with a smile only a farmer could have (that isn't a bad thing btw!). He had all the milk in a cooler in 1 litre mason jars. Since I'm not a member of his herd share, I was only given 1 jar. This was okay by me, since it was my first foray into the realm. He gave me the low-down on how he produces it and what he feeds the cows. I was smiling ear to ear. Paid him for his service/product, and made my way home. The taste was basically milk. It had a way better aftertaste than the current milk I use for my kefir (which is pretty much the best and closest thing to raw, it is low-heat pasteurized). I finished the 1 liter in a day, wasn't that difficult to be honest. I experienced no digestive issues (I don't have any intolerance to begin with), in fact, my BMs have been more regular now. I've been trying to get my constipation reversed and alleviated. Now I am on the hunt to get in touch with a farm that produces pure bred A2 Guernsey cows. They are my white unicorn. Try raw pasture raised Camel milk! It looks like they sell to Canada with some restrictions. (Hopefully you don't live in Alberta). I ordered it twice and really only stopped because it is pretty expensive. I have issues with cow and goats milk, but no problems with camel milk. I just discovered that the camels are fed a mix of barley and non GMO corn "out of season". So I may not buy from them again. This site feeds the camels either hay or alfalfa pellets in the winter. All from Amish farms. However, I don't think they sell to Canada. Regarding what cows are fed in winter is so important! In Canada, the winter months force farmers to supplement with grains (bummer) like soy, corn, barley, pea, oat. All of these things are obviously NOT BP. It is quite unfortunate. My white unicorn dairy has yet to contact me back. They may pasture their cows even now, and supplement with just hay and silage. However, it may be impossible to keep them entirely off any grain during the cold months. Even Waygu, some of the most expensive beef cattle in the world are fed grains. I may just have to wait till the Spring Equinox to begin my milk diet in earnest when the cows are exclusively on pasture. 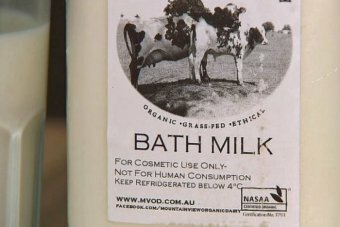 raw milk just hit the news here in Australia yesterday (in a bad way). 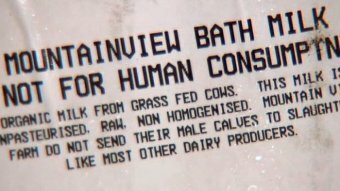 in Australia it is illegal to package or provide raw milk for human consumption. But it can be sold for cosmetic use, so it is usually advertised as 'bath milk'. anyway, reportedly and sadly a 3 year old died from drinking the stuff in Victoria. I have not done any 'deep reading' on this story yet, just saw it in the paper & caught it on the news. It is available in the UK, though somewhat restricted by licensing. Very few farms supply it, I would need to talk someone into driving (I don't drive....) 2 hours there and back for my milk to get it at an affordable rate. There is a delivery guy, his prices are triple the acceptably expensive price. I am looking for the underground market. I mean it is Sheffield! This place will have an underground supply if anywhere does. yep. we will wait and see what the coroner has to say. I know it is before a coroner, but have no idea when it will be looked at. edit: this comment was responding to a new user (zed), who seems to have been removed or disabled, so it makes less sense now. but it refers to a post i made on the prev page, here (raw milk in Australia). I lived off of a diet of grassfed raw milk, grass fed beef, organic raw almonds organic veggies and lunches from wherever I wanted to eat and quite a bit of beer. i mean there wasnt really anything bulletproof about it, except for my chicken only lunches and it was chicken at that. breakfast was always grassfed milk with granola and a bannana or a smoothy of grassfed milk, granola and a banana and blue berries. lunch was a sandwich, 2 or 3 days roasted chicken, no carbs. every two weeks i'd even gorge on all you can eat pizza. dinner 4ish days a week was grass fed meat in some sort of dish. burgers, pasta, bbq roast, baked beef ribs often times with garlic bread with raw grass fed butter. I did use a lot of butter. i dont recall what i ate for lunch on the weekend. dinner was something we'd cook up with the roommates. one night would be bar food. i'd order just protein. i did work in tahoe in a physically demanding job. lots of cold exposure... but I didnt put on weight in the summer. i'd never really felt so good, ever. considering my mix of foods. i'm the type of person that packs on pounds if i eat the "wrong" food. i'd yo yo'd from 270 to 190 to 260 then back to 175 and maintained that weight from 2006 to dec 2011.
then it climbed and fluctuated to 195 to 205 finally at 26% bodyfat 2 months ago. sneaky weight creeped on while the scale weight didnt change too much over the last three years. eventually lost access to the grassfed raw milk and butter and beef when I moved to LA dec 2011. It didnt occur to me that I could order it..
i'd say give it a shot. if you put on some weight from the milk you can always drop 20 pounds of fat in two months on the BP diet and put on a few pounds of muscle without exercising. it's all anecdotal those grass fed unpasteurized milk years. good memories. Anyone have a dealer for Surthrival Ghee in Los Angeles. online retailers seem to be in the UK. shipping rates for ghee is outrageous from the east side of the country. Anyone know why grass fed butter is bulletproof but grass fed cream is not listed as BP? Butter is made from cream right? People just beginning BP Diet would do well to shy away for a few weeks, then reintroduce to see if the lactose casein bugs their guts. Sort of an N=1 thing.